A classic holiday centerpiece shines in our signature Mercury Glass Bowl. Festive Christmas greens, red berries and holly mix with red roses and pinecones below glowing red candles for a stunning centerpiece worthy of your celebration. 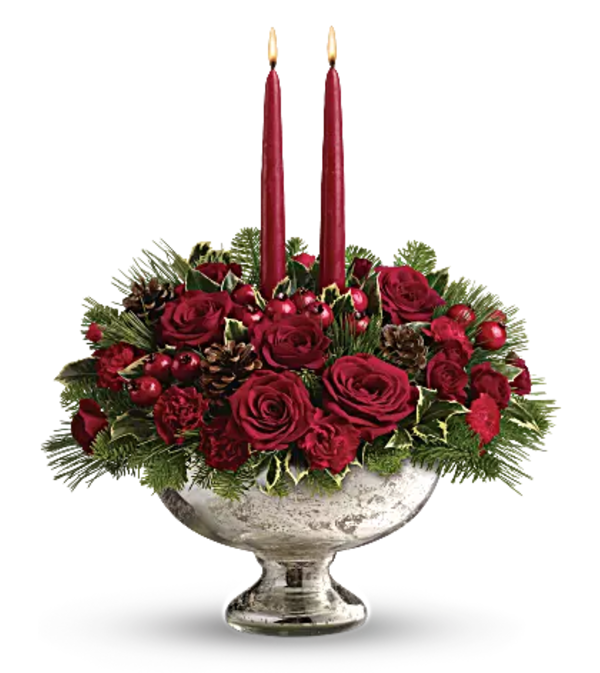 Two deep red taper candles are secured in a bed of noble fir, white pine, variegated holly, red roses and red carnations. pinecones and berries add more seasonal color.